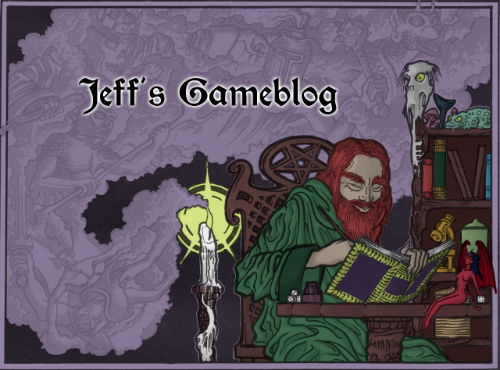 Jeffs Gameblog: Q: How Much Is One Ounce of Mithril Worth? My criminally under-used FLAILSNAILS pc is a 1st level fighter of no particular talent named Donnal MacDonnal (called Young MacDonnal back home, since his dad is also Donnal MacDonnal). Donnal's first adventure was as a zero level farmer run under the Dungeon Crawl Classics rpg beta rules. Since then he's had in his possession 1 ounce of mithril he found on a dead dwarf or something. There's not much else for Young MacDonnal to do with this stuff but sell it or trade it, so I've been trying to figure out what it might be worth. 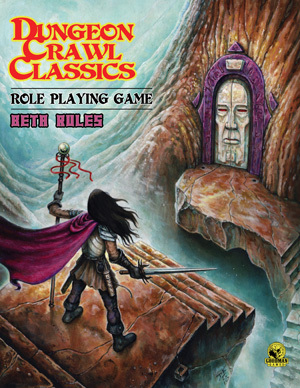 If the value is in the DCC beta rulebook I can't find it, so I've been looking at some other sources. 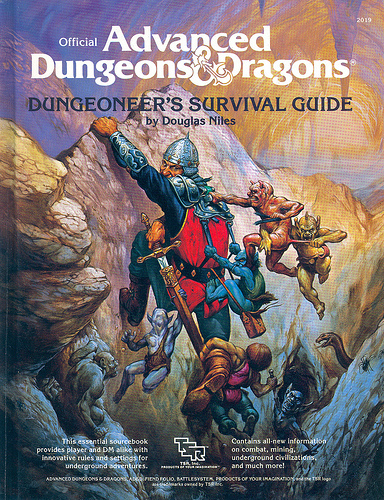 The first place I turned was the AD&D Dungeoneers Survival Guide, recalling a mention of mithril in the mining section. Unfortunately, this otherwise exhaustive tome only details how rarely you find the stuff, not what its worth should you actually find it. Mithril Pieces are the high end coin in MERP and Rolemaster, replacing the platinum piece of D&D. Mithril Pieces are rare and unlike other coins their value tends to fluctuate. Intended to be worth 100gp each, mp are often traded at less than 'face' value, typically 50gp each but sometimes as low as 10gp each. MERP coins are one quarter of an ounce each, so if Young MacDonnal visited Middle Earth he could probably get 40 to 400gp for his mithril. That's a crapload of money. 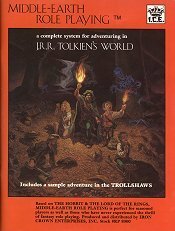 MERP/RM money through me for a loop as a kid, because standard adventurers start out with 2gp, but prices for normal gear are normally in silver, bronze and copper. Platemail costs 50sp, for example. 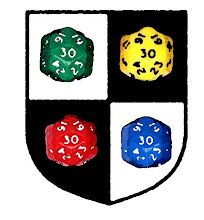 My last source is the Hypertext D20 SRD. To purchase a miscellaneous item out of mithril costs +500gp per pound. A pound of gold pieces is worth 50gp (fiddy coins to the pound), so 50gp made out of mithril would cost 550gp. Yes, I know there's no such thing as gold made out mithril. Therefore one mithril piece costs 11gp (Is that the same value as Impervium in Encounter Critical? I'll have to check.). Normally a coin weighs a third of an ounce, so I guess that'd mean Donnal owns 33gp worth of mithril. That get's us within spitting distance of the bottom of the MERP valuation. Of course the real answer is that the mithril is worth whatever the GM says it is. Anyone care to toss out what they think 1oz of mithril is worth in their campaign? By the by, the more I think about it, the less I am inclined to sell this stuff for cash. If Donnal is dirt poor and needs to eat, that's one thing. But otherwise, I'm thinking the better bet is to hold onto the mithral in hopes of trading it to some fantastic being for a non-monetary boon of some sort. Depends upon if it's useful for anything other than a dustable on a mantle. Mithril in MERP was rare and valuable because the dwarves and elves used to work it into weapons and armor but as time went on the knowledge was lost by the dwarves and the elves just stopped making cool gear, until their master smiths reforged Narsil into Anduril. So if there's an alchemist, scholar/metallurgist, or armorer/smith out there then it could be quite valuable, I'd go with anywhere from 50-100 gp. In my game, Mithril is equivalent to low-weight +1. That means an enchanted +1 sword made of mithril is actually +2. I based my value of Mithril on the cost of a +1 weapon in D&D. 6,000 GP per stone, or 2,000 GP for the normal 1/3 stone that goes into a sword. 1 stn = 14 lb, so 428 gp per lb. That's almost 27 GP per ounce. 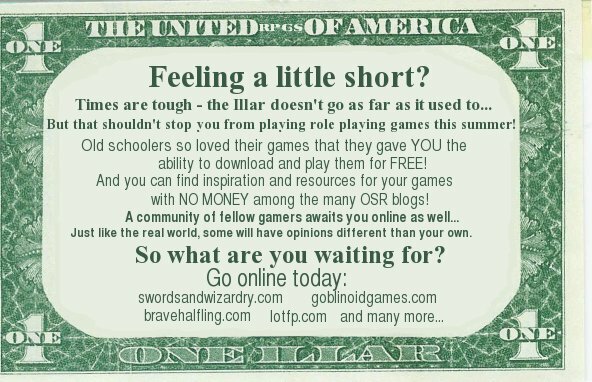 (My GP equal your GP in buying power for equipment and magic items, but my GP are 1,000 to the stone, or almost exactly a quarter-ounce. Which means if I describe something in coin weight or stone weight, Mithril is 100x as valuable as gold. That's another way of looking at it, but I think that would only ever come up if half-ounce-coin carriers showed up in my campaign). Incidentally, the rule that items made of Mithril or Admanatite or whatever have magical bonuses has created lots of interesting demand for such metal. People like to melt things down and re-cast what they want out of the metal. In my game it would be priceless. Stop figuring how much the mithril is worth. Figure out who might want it, and what they have that you want... Then secure some fake buyers to up the price, create a need for it, etc. and approach ready to make a killing. Magic items in ad&d require material of the highest sort (to make a gem of seeing, first requires a gem worth 5k and only then the xp value of the magic item in gp). So too, a magic ring, first requires a ring of the highest value. Barring DC saving throw conversion, this was one of the challenging things to figure out about flailsnails. Who do you talk to about your character engaging in a downtime project? Who's your go to DM? Ask around in the different games you play in then sell it in the game where you will make the most money! Funny you should ask the same day that a group of FLAILSNAILS pcs approached me looking to fence something from another campaign! If you want to go back to the source, Gimli in FOTR says mithril was 10 times as valuable as gold while the mines were in operation, and priceless since production in Moria stopped. Of course, gold in D&D is undervalued, so I'd be inclined to go the latter route and treat it like a magic item, i.e. they have to find a buyer and negotiate a price, which could vary hugely depending on the purchaser. That seems like the way to get the best play out of it. "Stop figuring how much the mithril is worth." Uh, no thanks. Being both a FLAILSNAILS DM and player there's a very real chance my dude could die, another PC loot his corpse, and that guy tries to sell the mithril in my campaign. Well its not a perfect example but lets say 1,000gp worth of the value added to light armor is mithrals base cost as a material. At about 25 pounds of material you'd come up with 40gp per pound. If you base it off heavy armor your looking at something like 180gp. You could say that coming across more of the stuff is rare so would have to be acquired at higher cost. I'd say depending on the scarcity in and area between those amounts might be accurate, but again its probably a crude way of figuring it out. I'd make it a "quest item", but I totally see your point about dyin' and lootin'. 1 lb. mithril has a value of 35 gp. There you go. I'd say 50-1,000 g.p. an ounce depending on campaign wealth-to-entropy and cheese-to-cool factors. Well something is worth whatever you can sell it for. If the progression of coin values goes in powers of 10, Platinum should be worth 10 GP and Mithril worth 100 GP, Adamantite worth 1,000 GP. That's a bit crazy. But in AD&D and 3E, it goes to x5 for Platinum. Continuing that progression of CP x10= SP x10= GP x5= PP x5= Mithril x5= Adamantite, Mithril would be 25 GP and Adamantite would be 125 GP. Closer to reasonable. I guess it comes down to how rare Mithril is in the campaign. If it's as rare as Platinum, but obviously more useful, it should be a bit more valuable than Platinum. If it's super rare, and Mithril mining operations cough up only a tenth of what the Platinum mines produce, reduced demand will make Mithril worth over 10x what Platinum is worth. I think your best bet is increasing the value of the mithril by having someone make it into jewelry. Let the craftsman have half the ounce as his fee, turn it into a ring. Then you'd have to figure out in which game system rings are most valuable (I think it's B/X). CAPTCHA: typoon. Lots of typing. See blogstorm. Scroll about half way down to find Goodman's post. It's a very interesting system, but doesn't really answer the question. However, considering DCC elves can only use mithril weapons and armor (due to a severe allergy to iron), and the fact that you got the mithril off of the corpse of a 0 level PC, mithril must be somewhat common. I would put it at one mithril piece equals ten gold pieces. 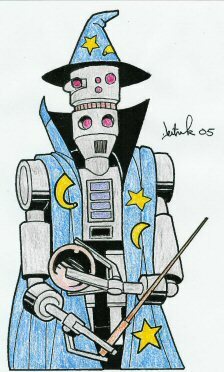 Of course, that's in the DCC universe. It may be worth substantially more elsewhere. I think your plan to keep it for some kind of barter is probably the best option. If gold costs ten times more than silver...and mithril costs 10 times what gold does... Then we've got mithril weapons costing 1000 times what their normal versions cost. I don't know if that helped you any, but it's just the guideline I was looking for!